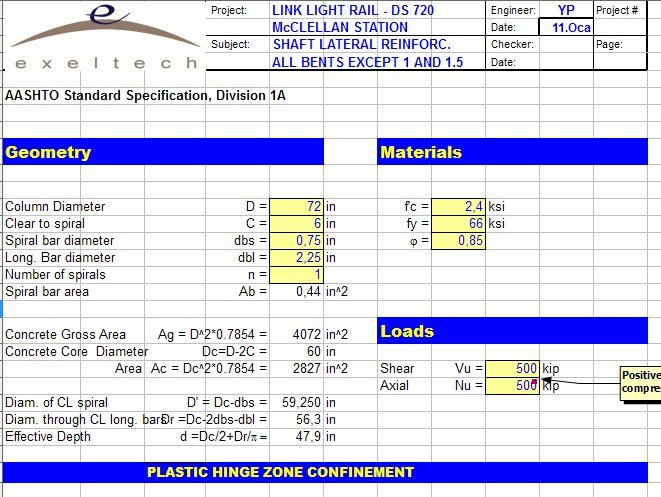 Calculates shear capacity and confinement reinforcement of circular and oblong shape reinforced concrete columns in compliance with seismic provisions of AASHTO 17th edition and and AASHTO LRFD. 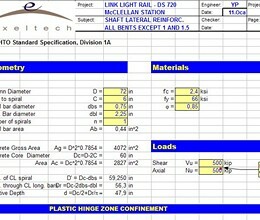 The spreadsheet design is based on interpretation of design methodology. As much as the authors have tried to achieve an accurate product, the codes rely upon interpretation as well as decisions drawn from engineering judgment. There are no guarantees or express warranties implied in the use or output of these programs that assures accuracy other than the efforts of the programmers' intent to achieve perfection. * ColumnShear download link provides freeware version of the software. cColumn formerly known as RcSections is a powerful 32-bit Windows program designed specifically for structural engineers to perform axial-flexural analysis and design of concrete columns as well as beams and shear walls according to ACI 318-11/08/05/02 and ACI 318-99. The easiest and most straight forward continuous beam analysis program available. No one has rated ColumnShear yet. Be the first to rate this product.